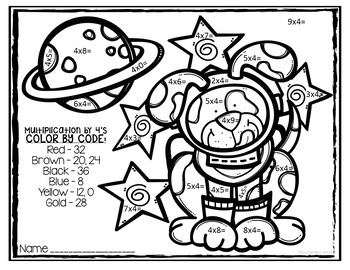 Students will be actively engaged as they practice their multiplication facts by coloring the space themed practice pages. Included is one page per fact 3-9. 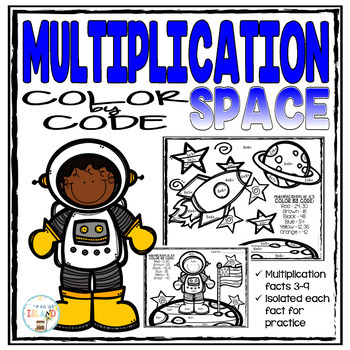 This is a great activity for those students who are beginning to learn their basic multiplication facts! CLICK HERE to follow me to get notifications on new products and SALES! ❤️ Follow me on FACEBOOK!